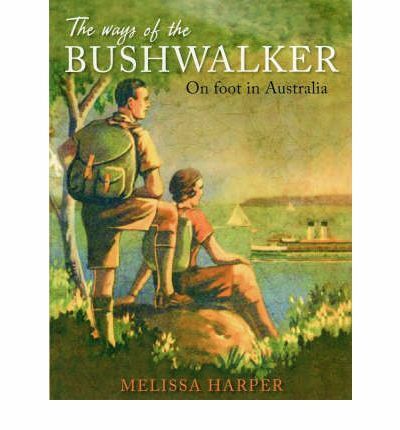 A 350-page social history of Australian bushwalking might sound like a tedious scrub bash. The reality is an insightful and approachable read that shows just how walking has shaped our relationship to the wild. 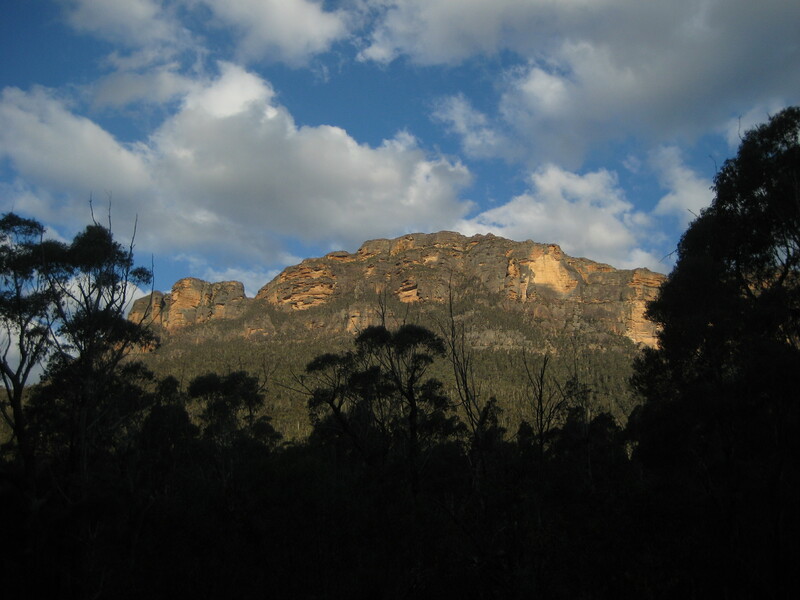 The sublime experience of walking into the Blue Mountains’ Grose Valley for the first time, gazing up at the sandstone cliffs around me, seems like a timeless one. But, as Melissa Harper shows, going bush in Australia – whether for a few hours or overnight – is largely a contemporary sensibility, albeit one with roots right back to the First Fleet. Told in an eminently approachable style and underpinned by a phenonmenal amount of research, The Ways of the Bushwalker covers largely largely post-colonial territory, from 1788 to the present day. It’s also a reworked version of Melissa Harper’s PhD thesis so be prepared for 40-odd pages of endnotes, bibliography and index. Harper traces a gradual evolution of (white) Australia’s relationship to the bush, from alien other to an entity competely integral to our sense of self today. But bush walking is still a contested activity if the ongoing tensions around land use are anything to go by (take for example the battle between four-wheel drivers and bushwalkers for access to wilderness areas; drivers want equal access along fire trails while most walkers believe that vehicles are the antithesis of wilderness). Even though I enjoyed it, you will still need to be pretty keen to read this entire book. So here’s my overview: the book charts the nascent Australian bush sensibility as one that was entirely European in its origin, both in its (lack of) appreciation of the landscape and its journeys through it – whether “taking the airs” in Mount Buffalo, patriotically “conquering” the landscape on long walks, or a gentleman’s ramble between inns, along a country road. But these activities slowly coalesce into the bushwalking we know today: a leisure-based engagement with Australia’s unique wilderness, one that has been integral to the declaration of national parks, the association of landscape with Australian identity, and the preservation of wilderness areas. The gentlemen’s bushwalking clubs that formed in the late 19th century kicked off the process of making bush walking a socially acceptable undertaking on its own terms. 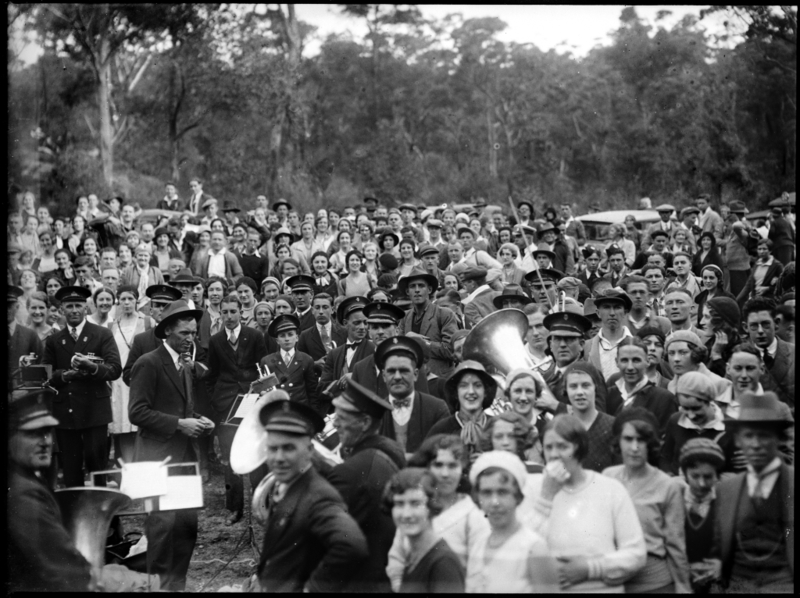 This culminated in the bushwalking clubs founded in the interwar period of the 1920s and 30s (when the term “bushwalking” – endemic to Australia – started to become widely used, in contrast to the apparently less serious “hiking” – an American term). 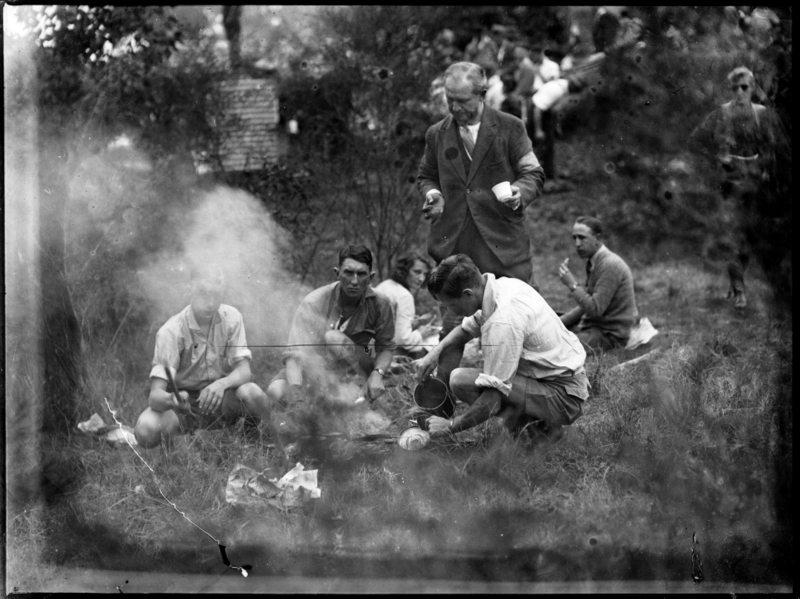 These later clubs, somewhat elitist and patriarchal in their modus operandi, defined wilderness as something inherent to an Australian national identity. They valued adventure and off-track walks into wilderness. Early members were screened for aptitude and attitude accordingly. As time went along, and more clubs formed, hiking became widespread while more and more tracks were established alongside an increasing number of national parks and reserves, catering to day walkers and “serious” bushwalkers alike. The conservation movement has very clear origins in these bushwalking clubs, something that every nature lover should be very grateful for and proud of. Harper rightly acknowledges seminal figures in the history of Australian Bushwalking (and often conservation) such as Miles Dunphy and others you wouldn’t normally associate with it – for instance public intellectuals Alexander Sutherland and William Mogford Hamlet, and composer, musician and inveterate long-distance hiker Percy Grainger. Grainger loved walking so much that he would actually walk between concerts, arriving in a state of ‘nervous excitement.’ And when I say between concerts, I mean between the different cities in which they were held – Pertermartizburg and Durban in South Africa, for example, a journey of some 65 miles. In the 1930s, the risque Dot Butler, who walked incredible distances in shorts – most daring for the time – not to mention barefoot; or Sydney walker Marie Byles who quietly campaigned for the declaration of Bouddi National Park in 1935. But Harper also does a great job of bringing to the fore several of the pioneering women who shaped bushwalking. In the 1930s, the risque Dot Butler, who walked incredible distances in shorts – most daring for the time – not to mention barefoot; or Sydney walker Marie Byles who quietly campaigned for the declaration of Bouddi National Park in 1935. Much earlier, female figures are rarer, making ‘Guide Alice’ from one of Australia’s first wilderness lodges at Mount Buffalo all the more remarkable. Her thesis specifically excludes Australia’s aboriginal history, though she does allude to indigenous relationships to land as a place to be inhabited, noting how they are at odds with contemporary ideas of wilderness and the prevalance of ‘Leave No Trace’ principles. 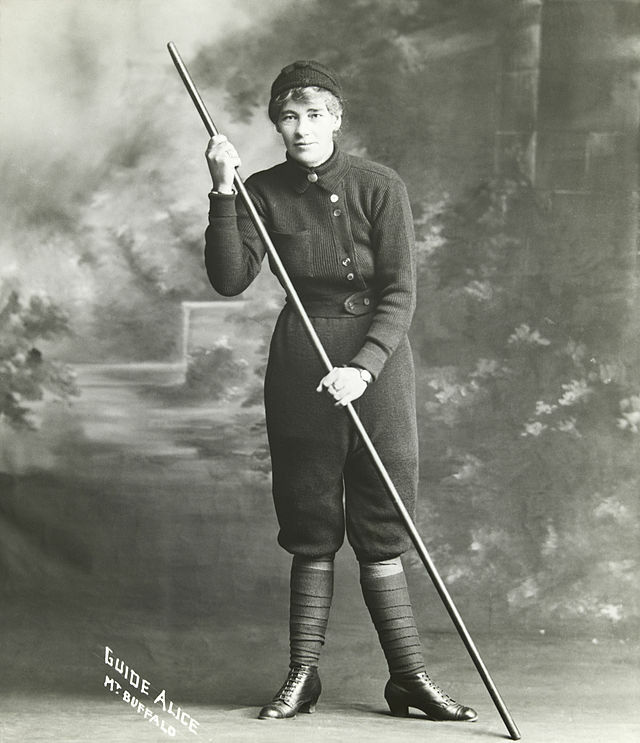 Portrait of Alice Manfield (Guide Alice) (1878-1960), mountain guide, naturalist, chalet owner, photographer, and early feminist figure based at Mt Buffalo, Victoria, Australia. Unknown – Alice Manfield collection, State Library of Victoria (gift of Anne Shannon, 2003). One of the most remarkable discoveries I made was that of the Mysteries Hikes of 1932 when literally thousands of city dwellers would board trains to an unknown destination. Once there, they would walk en masse along country roads replete with kiosks and even brass bands. The story is remarkable for a few reasons: first, it charts a moment in time when a largely middle-class pursuit was opened to the working class who joined the hikes (bushwalking remains largely a middle-class activity, including in America where over 40% of hikers earn more than $75k a year). Second, it marks the moment when ‘lesisure was something that was sold to the consumer and entrepeneurs set themselves the task of enhancing the attractions of traditional leisure pursuits with appeals to modernity.’ Third, it brought the emerging class of car owners into conflict with walkers who had traditionally used the open roads as their medium. The craze petered out within 12 months but it is a point in time that both resonates and surprises today. Palmer’s Mystery Hike No. 2. homas Lennon Photographic Collection, Powerhouse Museum. 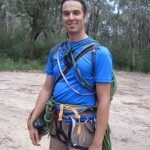 As somewhat of a gear freak, I was curious to read out how gear evolved from the traditional Australian bush kit into the massive market we have today. Prior to the 1920s, the iconic swagmen’s rolled-blanket-and-billy outfit provided the basis for most overnight excursions on foot. The setup was unwieldy and heavy. But from the 1920s onwards international influences, such as the Bergen rucksack that Marie Byles returned from Europe with, began to inspire walkers. Accordingly, entrepreneurs like Paddy Pallin or Andy Broad started manufacturing gear locally, slowly modernising the look and convenience of outdoors adventures. Prior to the 1920s, the iconic swagmen’s rolled-blanket-and-billy outfit provided the basis for most overnight excursions on foot. The setup was unwieldy and heavy. Is the proliferation of gear a good thing? Well, an obsession with “getting the gear” can detract from, if not replace, the sense of adventure. However, it has undoubtedly made walking more comfortable and more accessible. Technological advances have, as alpinist and adventurer Tim McCartney Snape noted once in a Wild interview, created gear so light that the limits of what can be achieved are constantly being redefined. So why do you walk? I have alluded to some of the reasons I have been drawn to bushwalking, especially overnight walks, in previousl posts. Ultimately everyone’s relationship to the wild – whether you’re a day-walker or thru-hiker – is a deeply personal one. But Harper’s book shows us just how much history and politics there is to the simple act of ‘going bush’. She also demonstrates how learning to love the places where you walk has had a profound impact on Australian culture and environment alike.